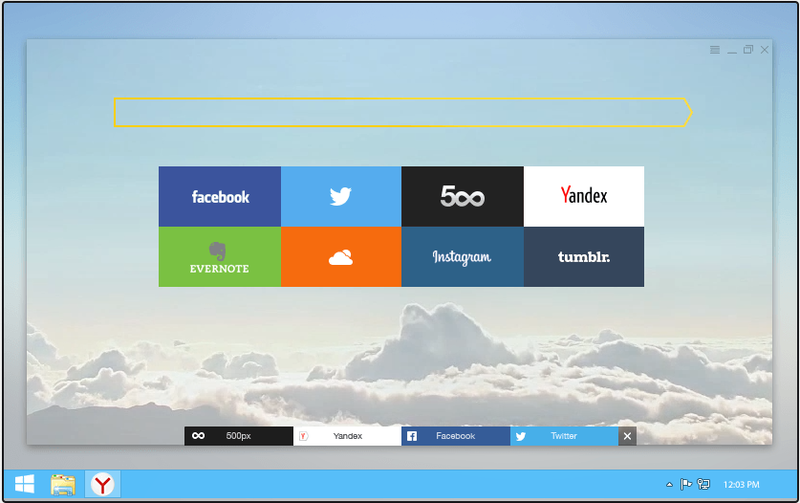 Russian based company Yandex has launched its alpha version of its new Chromium-based browser for Windows and Mac OS X with a great GUI. They call it "The browser of the future". The first difference you will notice from the interface of existing popular browsers is the minimalistic look, very few transparent buttons, and the tabs at the bottom of the page. Address bar and bookmarks bar are not shown all the time. By clicking on the website’s name at the top of the window, user can get to the so-called “Flipside” that consists of the URL and search bar called SmartBox and a few basic functions like printing a page, sharing it in social networks and finding text on it. Very neat, eh? The title bar is not transparent for me. Isn't it possible?